This report covers the Larose Forest trails from P2 off of hwy 8. 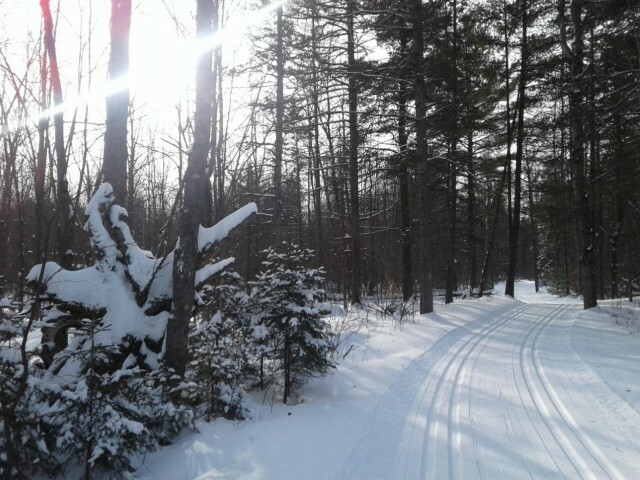 Fresh grooming over the entire circuit for both classic and skate. My only quibble was the tracking tended to sink a bit slowing me down. Trail probably needed more of a firm packing before track laying. Not complaining, 15 cms of new snow and a more bearable ski day with higher temps and little wind..